BLOCKBUSTER SERIES FINALE! 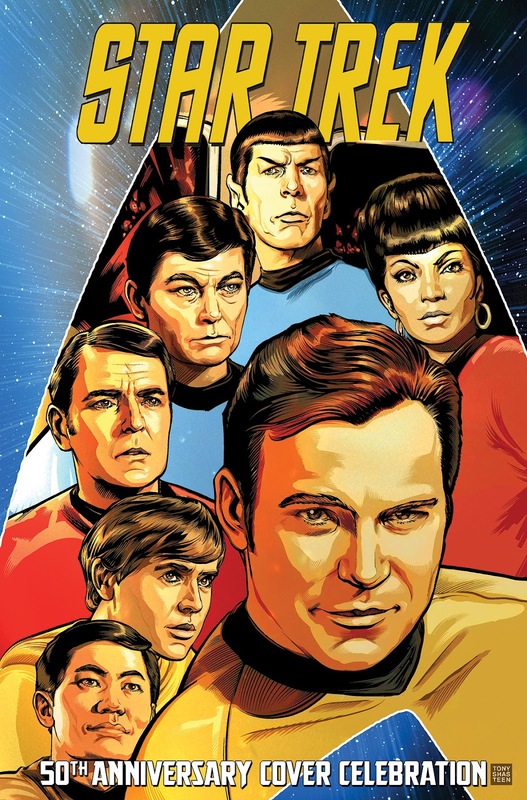 A Five Year Mission = five years of STAR TREK comics! Celebrate the end of the latest chapter in the Enterprise's epic adventures with this all-new story that brings Captains and crews from two different timelines together! While we wait with great anticipation to see what September brings us after this "series finale", this second issue of the TOS crossover story will be available in two covers: The main one is by issue artist Tony Shasteen, and completes the diptych with its counterpart on the previous issue. Meanwhile Jorge Fornes will deliver the subscription cover, but that hasn't been released yet. Purchase: Things From Another World, Forbidden Planet. Introduction by Mike Johnson, with art by Tim Bradstreet, J.K. Woodward, Tony Shasteen, David Messina, Rachel Stott, and more! In celebration of 50 years of STAR TREK, a collection of the greatest TREK covers from across the galaxy! From Kirk to Klingons, Bones to Borg, it's all here! This 52 page cover collection includes a new cover of it's won, by Tony Shasteen. 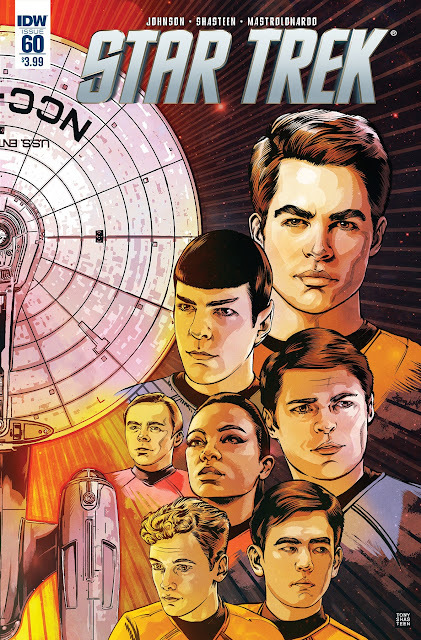 For full listings of all the upcoming Star Trek comic releases, and links to my previous coverage, hit the comics button on my 2016 schedule page. You can also find further comics series reading lists on Trek Collective Lists.